To stay up to date with all the latest MPJ news, follow them on Twitter or like them on Facebook . You know the story. This chart shows Sirius meandering along at 5c. Then with two giant nickel finds, it minted a small army of instant millionaires. The past performance of this product is not and should not be taken as an indication of future performance. Caution should be exercised in assessing past performance. This product, like all other financial products, is subject to market forces and unpredictable events that may adversely affect future performance. 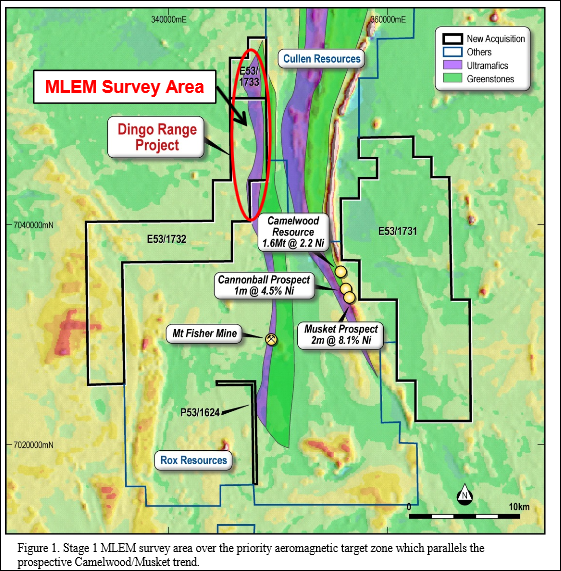 The map below shows MPJ’s Dingo Range tenements, marked in black – a recent General Meeting of shareholders passed board resolutions to acquire these holdings. So in return for providing geological and geophysics services, Newexco have also agreed to be partially paid in MPJ shares. The big end of town appears to be well and truly behind MPJ. And to top it all off, MPJ is exploring for the commodity with some of the best supply/demand metrics going around... Indonesia, the world’s biggest nickel supplier, recently banned exports . 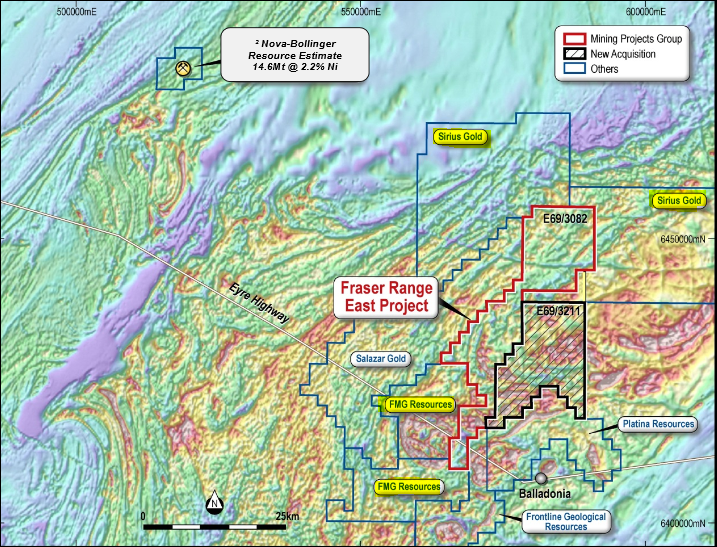 MPJ recently acquired some flash ground in both the Fraser and Dingo Ranges... Over 800 km 2 flanking the Nova-Bollinger deposits in the Fraser Range. 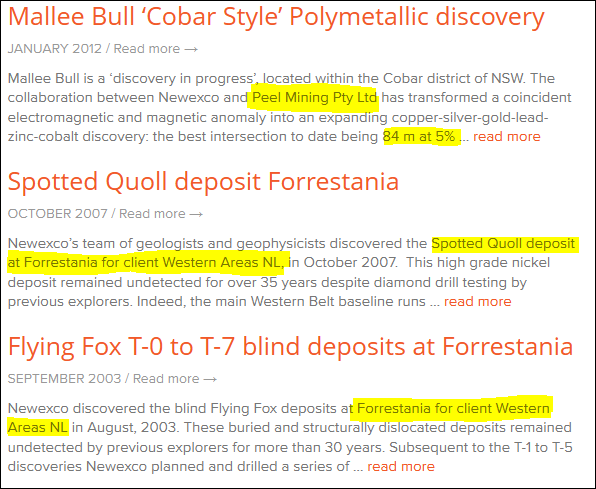 With another 326 km 2 flanking Rox Resources, and their growing nickel discovery at Mt Fisher in the Dingo Range... And every one of MPJ’s projects is 100% owned. That in itself stands MPJ apart from a lot of other Fraser Range nickel explorers. 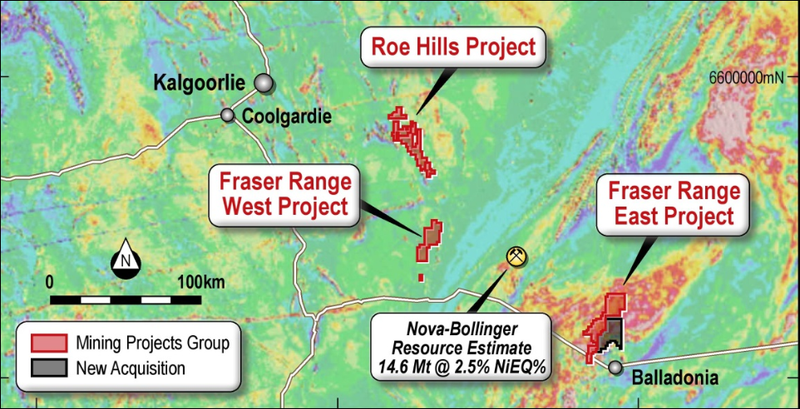 As you can see in the image below, the Nova-Bollinger deposit is surrounded to the east, west and northwest by MPJ projects. 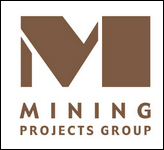 This is the project that has attracted the attention of China’s International Mining Inner Mongolia Geology & Minerals Group (IMMG) , a significant private enterprise involved in all aspects of mineral exploration and production. Much further to the north, and Rox’s Camelwood deposit of 1.6 million tonnes at 2.2% nickel shares borders with another two MPJ tenements. 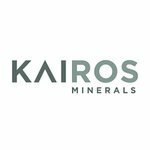 Did you receive The Next Small Cap report on Core Exploration (ASX:CXO)? 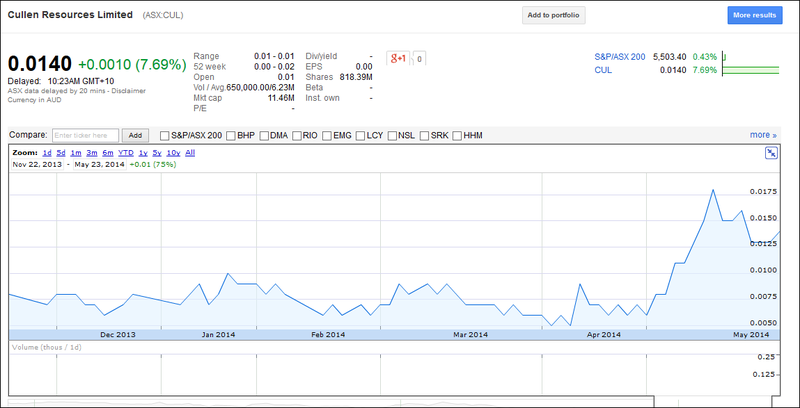 Since this report was released, CXO has traded up to 85% higher. Quite an impressive history of big nickel finds. Remember, Newexco is even taking part payment for its services in MPJ shares... 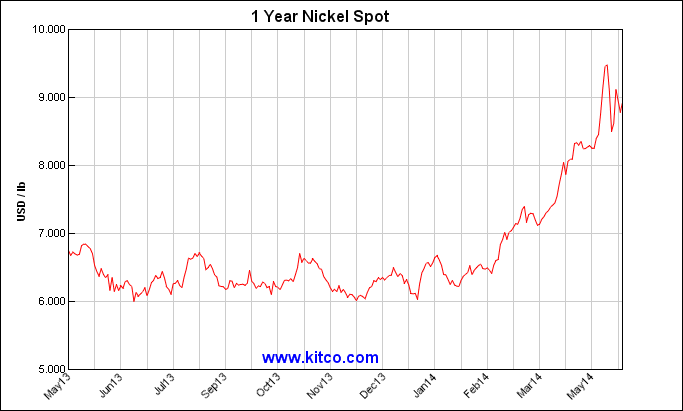 They are the best in the business when it comes to finding nickel. And they have decided that MPJ shares are more valuable than the equivalent cash... Reading between the lines here gives further indication of the chances of MPJ ground holding something rather special. In fact the team from Newexco have just completed an electro magnetic survey at MPJ’s Fraser Range East Project. 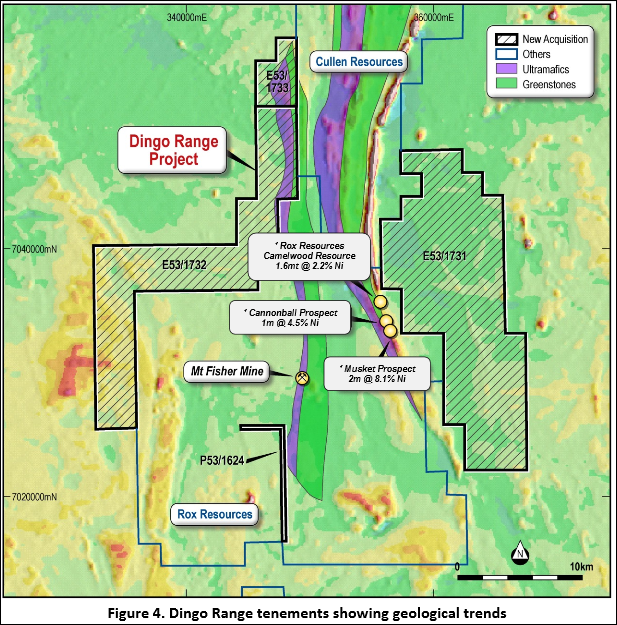 Now they are over at the Dingo Range near Rox Resources for more magnetic surveying. You can see the survey area circled in red on the map above. The program has been designed to test for bedrock conductors which may host a nice pile of nickel sulphides... After all, this is exactly how they found Nova... why change a system that clearly works. Neil Hutchison from Poseidon is also on the team – he is Twiggy’s very own “go to” nickel geologist. Not surprising that Twiggy took a shine to him after he discovered Poseidon’s 68,000 tonne Cerberus nickel deposit! Twiggy installed Neil as the head geologist there in 2007. Within 12 months he had discovered Cerberus – the first discovery within the Windarra Belt since 1971. Prior to Poseidon, he was the Jubilee Mines geologist, worked with Troy Resources, and managed nickel exploration at the Cosmos Nickel Project. His expertise doesn’t end with the discovery phase either – he has also taken several deposits through to mining, production and profits. With over 18 years’ experience and an impeccable nickel pedigree, we couldn’t think of anyone better to lead MPJ in their nickel quest. And guess what... Neil is also taking partial payment in MPJ shares. Another hint. 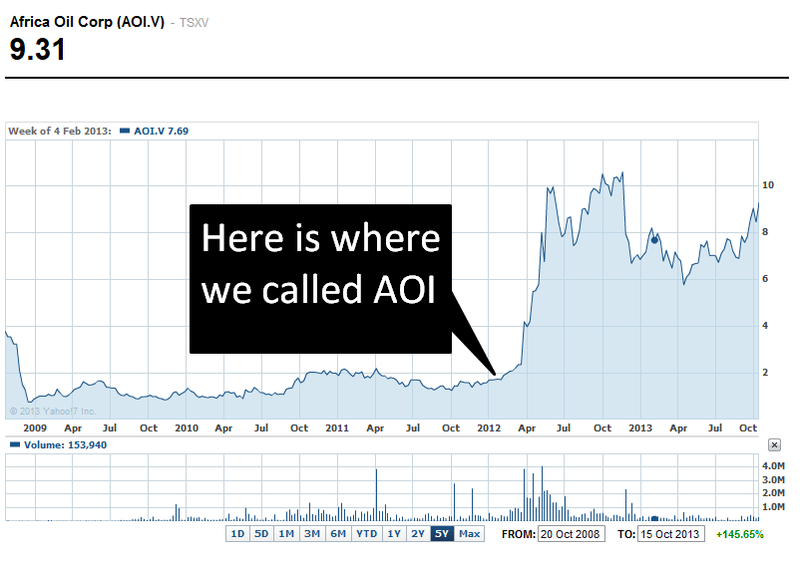 Regular readers are well aware of The Next Oil Rush ‘tip of the decade’ – TSX:AOI – Back in February 2012 The Next Oil Rush called it at around CAD$1.8 and has been as high as CAD$11.25 since – that’s over 600%! New Star in the Fraser Range? 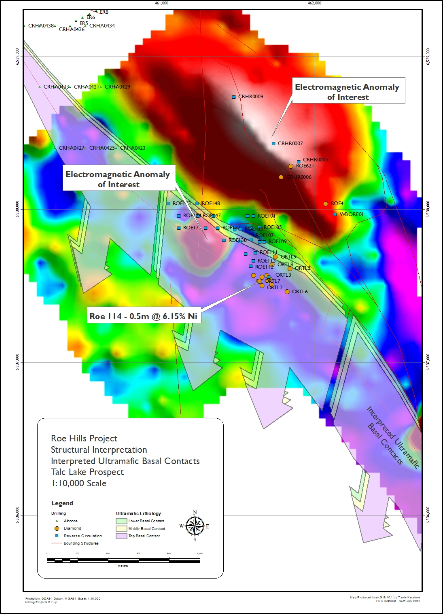 MPJ’s Fraser Range East Project will be the immediate exploration focus. This is the project that’s wedged between Sirius and Fortescue... And just 70 km from Sirius’ mammoth Nova-Bollinger resource of 14.6 million tonnes at 2.2% nickel. Sirius’ market cap is almost $300 million... and Fortescue’s is well over $16 billion. Then there’s little of MPJ in the middle, currently valued at just $7 million and about to embark on a comprehensive nickel hunt. That’s just their Fraser East project... Nova-Bollinger itself is actually surrounded by Fraser East, Fraser West and Roe Hills... All 100% owned by MPJ. That’s a little something we like to call reverse nearology! 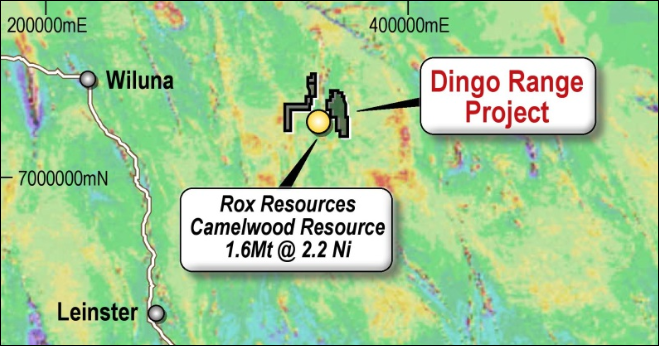 Rox is current valued at $37 million... almost 10 times MPJ... Rox’s Camelwood deposit already boasts a sizeable resource of 1.6 million tonnes grading 2.2% nickel – that’s the same high grade as Sirius’ Nova-Bollinger. At the Cannonball Prospect Rox has intersected 4.5% nickel... And at Musket, just weeks ago, Rox hit a whopping 19.5% nickel . MPJ have all this at their fingertips – the next crucial steps are proving up something worthwhile on their ground. By undertaking some comprehensive exploration work and drill campaigns, they should be on their way. This is all very good news for MPJ as it kicks of its nickel exploration campaign. There’s nothing like the whiff of a big discovery of a hot commodity to get the market excited. One of the best things about MPJ is its miniscule market cap – it won’t take a big discovery to get the market to sit up and take notice. Combine that with the nickel-detecting dream team from Newexco, and Neil Hutchison from Poseidon... Throw in prized tenements flanking Nova-Bollinger , Rox Resources and Fortescue... And MPJ may well become very popular soon. The dream team is currently devising the optimum exploration strategy for maximum results. 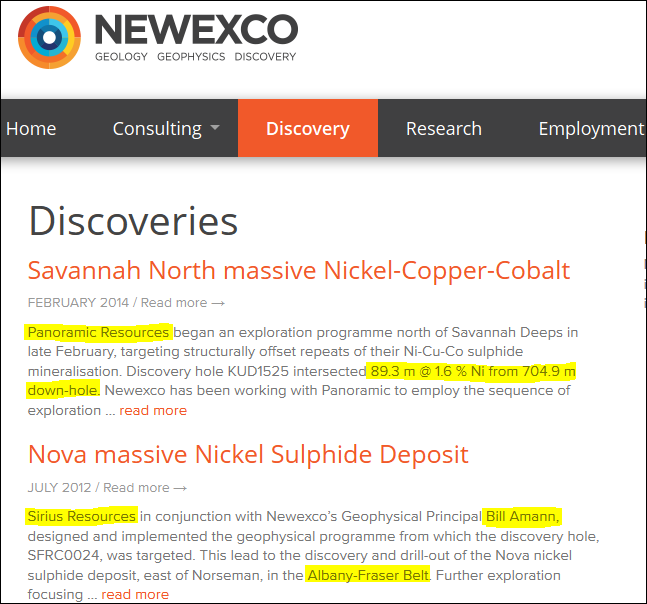 Electromagnetics have been completed by Newexco at Fraser Range East, and are now underway in the Dingo Range near Rox... This will be followed by target refinement, and then by drilling... all by the absolute best in the nickel exploration industry. MPJ are doing things right, making their own luck, and we are hoping that the payoff might be big. The information contained in this article is current at the finalised date. The research contained in this article is based on sources considered to be reliable. S3 Consortium Pty Ltd has made every effort to ensure the information in this article is accurate, but the Firm does not make any representation or warranty that it is accurate, reliable, complete, or up to date. S3 Consortium accepts no obligation to correct or update the information or opinions in it.